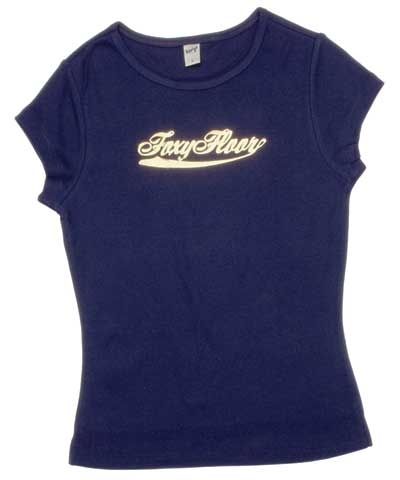 Ladies Foxy Floor Baby Doll Tee-Navy. This baby doll tee is 7 oz, 1x1 rib of 100% ringspun cotton. Baby Doll Tees run smaller and shorter and are tapered from the midsection to the waist as compared to the Standard Tee. Order accordingly.